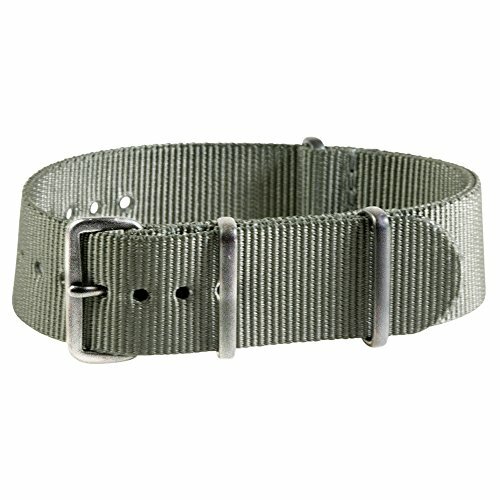 For sale is our Extra Long Premium Nato Stainless Steel Nylon Replacement Military Watch Band / Strap. Our name brand Premium Straps are Premium because of thicker material and stitching for extra support. These watch bands are made from the highest quality nylon material. It comes with STAINLESS STEEL HARDWARE! Length is 12 Inches long, compared to the normal 11 Inches long Classic Nato. Mostly used for Military combat, but also used for the everyday fashion as well as Divers. Questions - if you have any questions at all, please feel free to contact us at any time. Sizing - If you need help with sizing, please contact us and we are more then happy to help you! Includes a Free Clockwork Synergy® Gift Box!